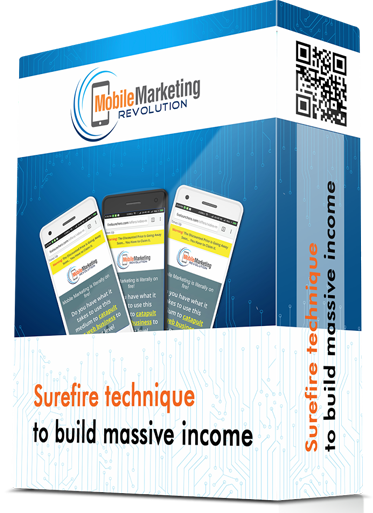 Mobile Marketing Revolution HD Video Training! Optimizing for mobile and creating a mobile marketing strategy are two things that if you haven't done already, you have to do in 2017. -- No excuses! DOWNLOAD Our High Definition Videos Now! THE influence of internet in our everyday lives is undeniable, but the role of mobile devices is just as impressive, having in mind the fact that the study shows the mobile has urged 70% of US-based companies to transform their business and user experience. A large part of your competition is likely already investing in mobile marketing. Needless to say, Mobile marketing is hot today. In 2017, marketers need to be prepared to produce and distribute the right content to the right people on the right devices. Take full advantage of the marketing channel with the world’s highest sales! Whether you're just getting started or want the latest tips on mobile optimization, we've got all the resources you need. What businessmen need is a roadmap with step-by-step directions to guide you through the more complicated aspects of mobile marketing. Explore the tools and tips shared in these expert Training videos which are simple yet sophisticated enough to take your mobile marketing to the next level, no matter where you’re starting from. The mobile-first movement is still gaining traction and it is showing no signs of slowing down. Mobile is the most personal channel that exists--it's in someone's pocket, sits next to their bed, and is checked throughout the day. This makes marketing on mobile incredibly important but also nuanced. Download this video training to learn how to fine tune your mobile marketing efforts. 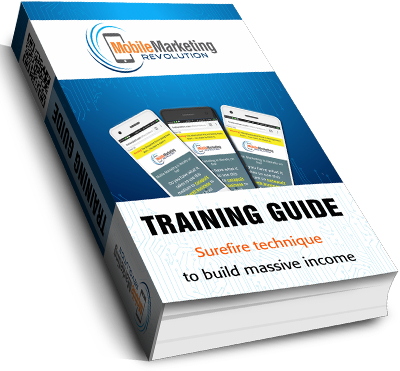 Our Mobile Marketing Revolution HD Training Videos come with a special 30 Day 100% Money Back Guarantee as well!